Home » News » Safety Around Water Program Registration is Open! Safety Around Water Program Registration is Open! ​ Every day, two children die as a result of drowning. In fact, drowning is the second‑leading cause of death for children between the ages of 5 and 14. Drowning deaths are preventable! Learning to be safe around water is a life skill. Today, fewer than half of all Americans say they know how to swim. The Safety Around Water program is designed to help change this reality. 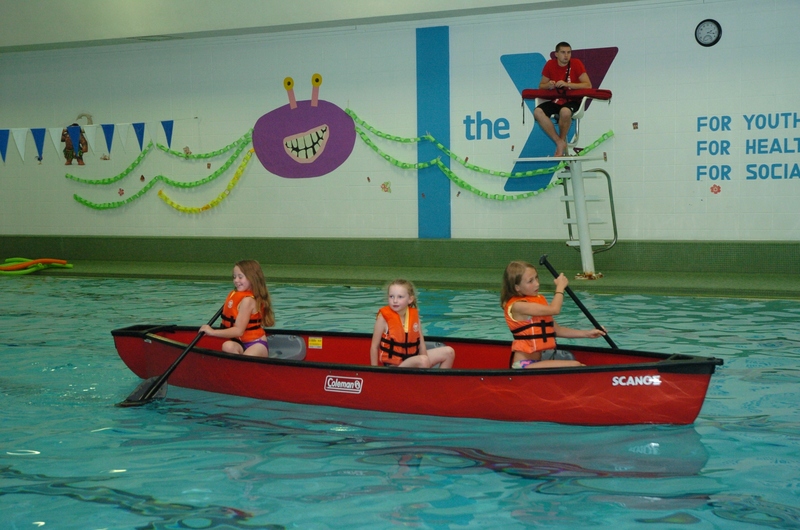 The YMCA of Darke County’s Safety Around Water program takes place June 4, 5, and 6, at both our Greenville and Versailles locations. The program is free and open to kids ages 3-5 and ages K-6. Children ages 3-5 must have a parent or adult in the water with them. Registration is required. Learning to be safe around water builds a sense of achievement. Overcoming a fear of water and mastering skills in the pool build confidence and competence. Safety Around Water is designed to reach children at risk of drowning and teach them basic water safety skills. These skills overlap with those taught at the Swim Basics stage of YMCA swim lessons. Students who completes the Safety Around Water program are prepared to transition directly into swim lessons to continue the learning.